The project started with the public outcry about making helmets compulsory for two wheeler riders. The aim of the project was to analyze the reasons behind the “helmet” being “unwanted” and to come up with a solution that would encourage helmet use through user conveniences. It involved understanding issues related to ergonomics, semantics, materials and processes that provide new possibilities. The most important insight from the user study was that of the helmet being equated to a “hassle” both in terms of short and long term storage and in terms of comfort during use. 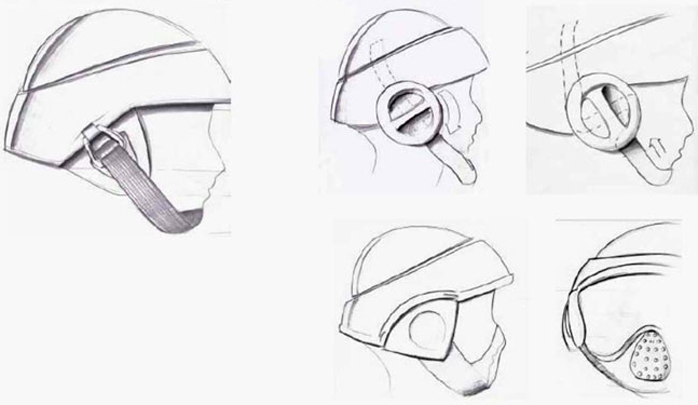 The concept of a folding helmet was selected and further refined. It was an interesting experience to match conflicting sets of requirements (with the standards on one side and the users on the other) and come up with a balanced feasible product.